P-40 Fans - What is your 'wish list' for 1/32 AM P-40 parts and detail sets? P-40 Warhawk Forums > P-40 Warhawk Forums > P-40 Models > P-40 Fans - What is your 'wish list' for 1/32 AM P-40 parts and detail sets? I would be grateful if you would like to let me know if there are any detail parts or accessories for the Hasegawa (or even Revell) 1/32 P-40 Warhawk/Kittyhawk aircraft kits that you would like me to consider for Eclipse Model Design (EMD) release? I have some P-40 stuff planned or in development at present, but new ideas are always most welcomed (I am currently working on an accurate P-40N wheel and tyre set (diamond and block tread patterns) and a new P-40 tyre ('Cross-studded' pattern tread) to go with the existing P-40 tyres in my range. I am also considering (for the Hasegawa kit) a set of separate ailerons, elevators/tailplane and flaps and a resin seat with separate US and RAF seat harness - would these be welcomed? Re: P-40 Fans - What is your 'wish list' for 1/32 AM P-40 parts and detail sets? I think you already know my preferences on this, but I'll repeat them all the same in hopes that others will chime in! My primary request is for resin P-40N tyres/wheels (the smaller diameter), which you are currently working on. Most photographs I have show the diamond tread. A resin seat with separate US and RAF (Sutton) harness would be great as well. Having both the Hasegawa and Revell kits, resin versions for each would be appreciated. I especially like how Ultracast did its 48th scale P-40N seat, with the seat itself molded to the rear armour plate. It definitely made my life easier when I built the Hasegawa kit! As you know, P-40s carried a wide assortment of ordinance, from centerline fuel droptanks and bombs (250 lb to 1000 lb) to underwing bombs and rockets....resin options for some of these would be great as well. Nice to hear from you again. I think that I will have most of the things covered on your tick list eventually. I see what you mean about the Ultracast seat frame, but that may not be as easy in 1/32 scale, so I'll have to see? (once I have some good cockpit reference and can see exactly what the rear of the seat and frame looks like in detail, I can decide which way to go, although I expect that they probably will be separate parts). As for ordnance, I need to source some accurate US 250 to 1000lb bombs as a starting point and I can work from there (I would be looking for something similar to the British 500lb GP bomb that I sell with my 1/32 Spitfire universal bomb carrier). 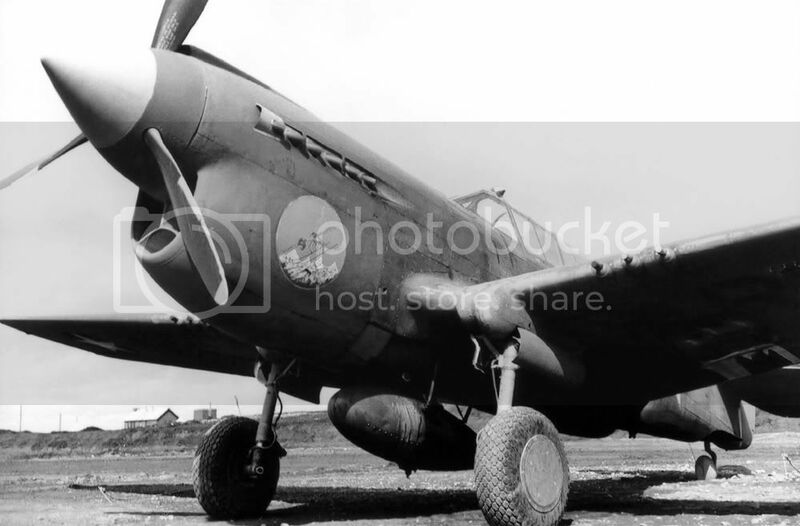 I am working on the P-40N wheels and tyres - I find as many P-40N aircraft with block tread tyres as I do with diamond tread tyres, which is why I am making both types (see http://www.usmilitariaforum.com/forums/index.php?/topic/14319-curtiss-p-40-warhawk/page__st__60, Page 4 onwards). I am still trying to find a good photograph of the internal wheel hub brake parts for the P-40N as these are visible through the wheel spokes - so if anyone has such information or pictures, I would very much like to see them as they would assist me greatly. Here's the B through M seat. I would love to see some clear close up pictures of the rear of that seat and frame as the bungees are a very prominent and important detail that I have not seen reproduced on a P-40 kit of any scale so far. Nobody in any scale has ever accurately reproduced the back of the seat, all they ever have is the frame that mounts to the bulkhead. Very interesting picture and it even looks like some pulleys for the bungee cord? I will look for other photos of the back of the seat, hard-to-find as most pictures is usually the seat installed. I also have to get that program installed and shoot you some of this information. I don't have any of the Hasegawa 1/32 P-40's, but I do have a couple of the Revell 1/32 P-40's and while they used to fluctuate between inexpensive and expensive on eBay, they seemed to be staying relatively inexpensive, probably because of the Hasegawa models. There are a few items that the Revell P-40 could use, a cockpit, main wheel wells either boxed in or the canvas insert, the canvas insert might be easier to make, maybe also a canvas cover for the tail wheel, I think it's just open? The canopy is on the thick side, livable if it fits well, I believe Squadron used to make a vac canopy for it, don't know if they still do? Not sure how accurate/detailed the Hasegawa interior is, maybe that could be used as a starter to modify to fit the Revell as long as there's no legal issues if not much needs to be changed? Just trying to think of some of the simplest and quickest ways to make a few items for the Revell kit. Of course that would all depend on how much the Revell model is being built today since the Hasegawa is out there. It's not the easiest or cheapest to find the Hasegawa and the Revell might even be cheaper off of eBay and after the purchase of a cockpit and wheel wells depending on their price. Just don't know if there is enough of a demand for the old Revell to justify making the aftermarket items? Jerry Rutman does an aftermarket resin set for the Revell kit that includes boxed in main wheel wells and the tail wheel with the canvas cover, and Eduard does a photoetch set for the cockpit and boxed in wheel wells (both sets have additional details as well). I have the sets for my Revell kit and they still appear to be available (Eduard has its set listed on its website). A quick search on eBay showed a few Revell kits for sale as well. When I have the time, I think I'll try to compare the similarities and differences between the cockpit in the video and what Hasegawa provides for its kits. Since you mastered the Grey Matter conversion, would you consider an aftermarket cockpit of some degree for the P-40F/L? I'm also looking into details of the gunsite for this version, in case you might be interested in doing a resin replacement. Jerry closed up shop some time ago and I haven't heard of anybody making stuff from his master's. I had his P-40 set many years ago, definitely wasn't the cheapest and some of the detail was pretty soft, just don't remember about the accuracy. I think it was one of his earlier sets. I've wanted to do a model above John Paul's P-40E Sneak Attack that was really popular in the 70s and 80s (I think that's the time frame) and I think I have enough photos to be able to do the artwork. I have a very detailed paper P-40E that I will use as a guide for scratch building the interior and wheel wells using plastic, balsa, and paper. That video is great with some really good detail! Yikes, I didn't know that Jerry had closed up shop. I too have problems with photoetch, not only with bending the parts but with losing many as well! I've come to prefer good resin aftermarket instead, such as a nicely done cockpit. Thank you (as always) for the input gents. You are correct in thinking that Jerry Rutman has stopped producing his own stuff for a good while now. I introduced him to Grey Matter Figures and they are producing some of his stuff now (but I do not think that there is a great deal of P-40 AM available). Brad, Mike of Lone Star MOdels has just started posting on LSP, and one of the things he has posted in the vendor's forum is his P-40 resin cockpit detail set for the Revell P-40E (see here :http://forum.largescaleplanes.com/index.php?showtopic=43016). It sounds like it has been in the LSM range for some years and is still available. Based on what you have sent to me so far, I have determined that there are two patterns of spoked wheel hub used on P-40N's - both appear to be factory supplied items, but differ in minor detal on both sides of the hub. 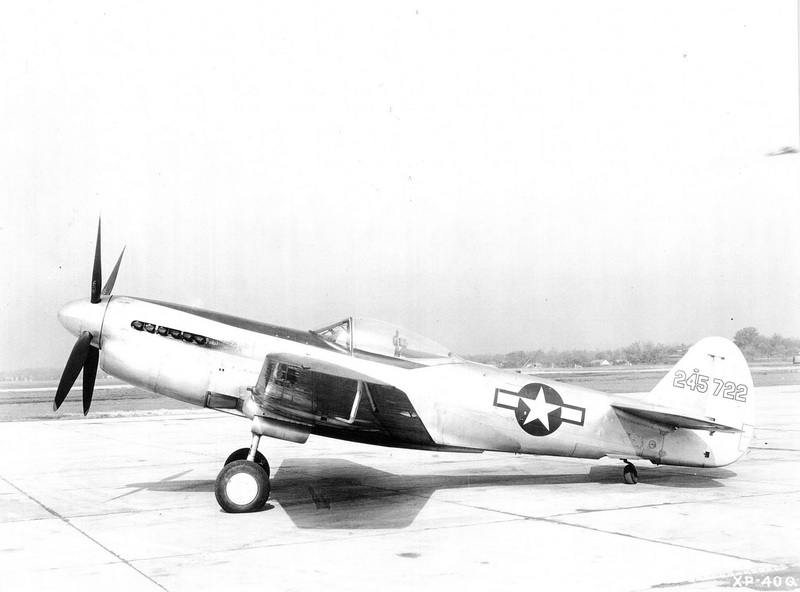 It looks like the P-40N will also accept the P-51 Mustang type wheel and tyre, although I really have not seen any period photographs of P-40N's having them; however, many post-war restorations seem to use them (The P-51 wheel is a multiple disc brake hub, so my guess is that the original P-40 drum brake wheel hub is very poor in terms of performance and modern pilots prefer the power of the Mustang brakes?). As far as I can tell the P-40N wheel hub - looking from the outboard side towards inboard therough the hub spokes - show a corresponding set of open spokes, which are internally webbed and have smaller radiused openings at about half hub depth. Further inboard beyond these internal spokes appears to be some form of plate or drun with more irregular holes (I cannot determine what they really look like or their disposition) through which some of the brake drum parts is just visible. It would be interesting to see what the differences are between the various marks of P-40 cockpit, and what is actually covered in both kit and resion AM form (I think that we need an in-depth Rato type survey here!). I still have my Trumpeter P-40B waiting for me to do something to it (any ideas?) and I would look at P-40 cockpits, but I do not wish to re-invent the wheel if there are already good AM cockpit detail sets out there? PS I shall be releasing my P-40M/N Perforated nose cowl intake plates sometime in Feb (See here:http://forum.largescaleplanes.com/index.php?showtopic=43049). I believe Mike's cockpit is for the Trumpeter P-40B/C and not the Revell kit...at least that's what it looks like in the photographs. It's quite nice, so yes you would probably be re-inventing the wheel if you released one of your own for the Trumpeter kit. For some reason I can't access his website now, but I don't recall Lone Star Models doing anything for the Revell kit. I saw your perforated intakes. Very nice!! Ah yes, you are right - I should have noticed (Mike did not specify which kit it was for - he just said P-40 in the topic title - and I made an erronous assumption! From what I can tell, CMK and Avionix both make resin cockpits for the 32nd scale Hasegawa P-40E. I haven't seen either in the flesh but from what I can tell the Avionix at least seems nicely cast and pretty accurate. Perhaps you or someone else more familiar with either or both cockpits know better. There isn't a huge difference between the P-40E,F,K,L, and M cockpits. These differences appear mainly in the instrument panels and the operation of the cowl flaps (manual or electric). There seem to be more pronounced differences between the earlier P-40 cockpits and the N model; obviously the seat comes to mind. I've already mentioned the possibility of a P-40N seat, but another option is a set of different resin instrument panels for the various models. I agree the XP-40Q is quite the eye-catcher and might be another good seller. I hope you seriously consider doing the conversion! Thank you for the information Mark. I do not have a great deal of P-40 reference and nothing at all for the cockpits, so this is also an unknown for me at present. I could do some IP upgrades, but I would need someone more knowledgable than I to provide me with good reference and pointers as to what is needed. I may need reminding what the P-40N seat looks like again - is the the wooden version? (I shall look at the normal P-40 seat). The XP-40QP-40Q is probably my faviourie P-40 because of the shape and the fact that it looks so different (I will definitely look at a conversion for it).